The Internet is a huge resource for those of us who are curious. It provides us with the vehicle we need to satisfy our nosiness, our inquisitiveness, as well as our curiosity. Using the Internet we can snoop, probe, pry; and question, or confirm, virtually any statement, fact or opinion. We now have access to a quantity, and quality (some might dispute the quality), of information as never before. Many of us have learned to satisfy this curiosity, or search for knowledge, by a mouse click here, and a mouse click there. In a sense, a lot of of us have developed a conditioned response to “just click”. So in a real sense, it may well be our instinctive responses that pose the biggest risk to our online safety and security. Our curiosity coupled with our conditioned responses can often override our common sense, so it’s not unusual that many people will open an email attachment without knowing if the attachment contains a virus, or another form of malware. Security experts agree that a significant number of malware infections could be avoided if users stopped opening the types of files that are clearly dangerous. Up to now however, this type of dangerous behavior continues, despite the warnings. As part of the Tech community I am aware that many Techies do not look to anti-malware solution software for total protection, but instead, they rely on their own experiences and common sense to avoid malware infections. Techies are well aware of the hidden dangers on the Internet, and they have overcome that natural tendency to “just click”. Before you click, stop and consider the potential consequences. In the final analysis, you are the best line of defense against malware infecting your computer. If you are in the habit of downloading files from the Internet you should avoid possibly destructive files with extensions such as .exe, .scr, .lnk, .bat, .vbs, .dll, .bin, and .cmd, unless you are familiar with the download site, and trust it to be free of potential dangers. Be kind to your friends, relatives, and associates and let them know that “just clicking haphazardly” without considering the consequences, can lead to the installation of malicious code that can cause identity theft and the theft of passwords, bank account numbers, and other personal information. If you are unsure if your current anti-malware applications offer adequate protection, then checkout “The 35 Best Free Applications – Tried, Tested and Reliable”, on this site. For additional information on Online fraud, checkout Online Fraud – How to avoid being a participant… at What’s On My PC. Personal Defender 2009 is one more, in a long line of rogue security applications currently circulating on the Internet, seeking out unaware users in order to steal their money. Like all rogue security applications, Personal Defender 2009 is a master at using Trojans, and fake advertising, to convince unaware Internet users to install this parasitic application. I’ve learned that in this particular case, the Trojan mupd1_2_1711951.exe once it has infiltrated a system will produce a false Windows Firewall Security Alert on the infected computer. This alert is crafted in such a way as to entice the potential victim to download and install Personal Defender 2009 on their system. If you’re an experienced computer user, then you’re aware that the Internet is saturated with rogue security programs like Personal Defender 2009, which, if installed, can often cost the unfortunate victim loads of money in an attempt to get rid of it. What you might not be aware of is, rogue security software, has now evolved into a billion dollar criminal enterprise. In the last year, or so, I have heard some horrendous stories from readers where the common thread has been the debiting of their credit cards, multiple times, by the cyber-criminals responsible for the distribution of Rogue Security Software. 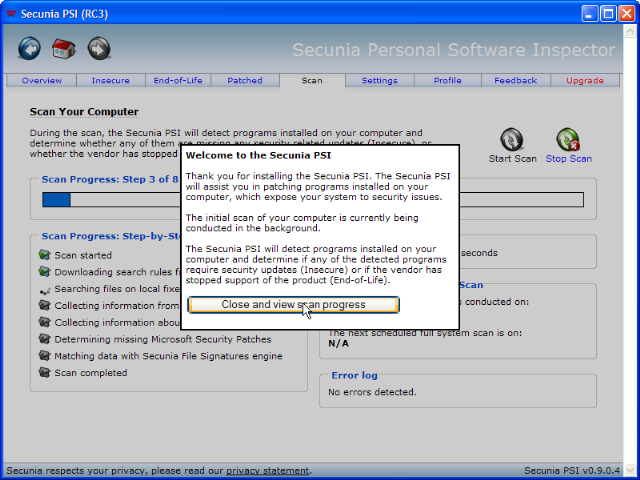 The objective of Personal Defender 2009, which is the objective of all Rogue Security Software, is to convince the victim to pay for the “full” version of the application in order to remove what are, in fact, false positives that this program is designed to display on the infected computer in various ways, including fake scan results, pop-ups and system tray notifications. 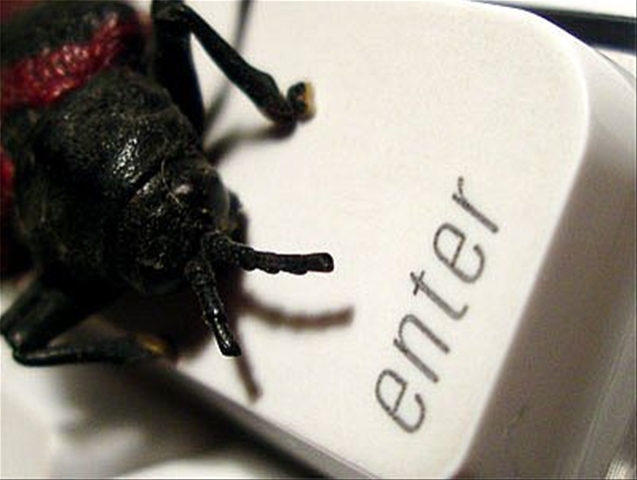 Like many parasitic applications, this particular rogue security software’s installer is often found on adult websites, or it can be installed manually, from rogue security software websites including http://www.defender2009.com. The graphic below, illustrates how WOT (Web of Trust), described later in this article, protects web users from interacting with unsafe sites, such as http://www.defender2009.com. If you are a victim of this, or other Rogue Security Software, the following removal solutions will be invaluable. SmitFraudFix, available for download at Geekstogo is a free tool that is continuously updated to assist victims of rogue security applications including the removal of Personal Defender 2009. Malwarebytes, a very reliable anti-malware company, has created a free application to help keep you safe and secure. RogueRemover will safely remove a number of rogue security applications. You will also have the option of downloading the free version of Malwarebytes’ Anti-Malware, a highly rated anti-malware application which is capable of removing many newer rogue applications. Consider the ramifications carefully before responding to a Windows Security Alert pop-up message. This is a favorite vehicle used by rogue security application to begin the process of infecting unwary users’ computers. Be cautious in downloading freeware, or shareware programs. 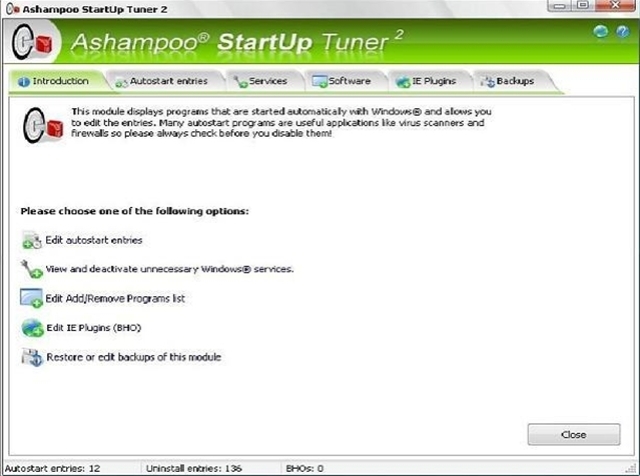 Spyware is occasionally concealed in these programs. Download this type of program only through reputable web sites such as Download.com, or sites that you know to be safe. Consider carefully the inherent risks attached to peer-to-peer (P2P), or file sharing applications where exposure to rogue security applications is widespread. Install an Internet Browser add-on that provides protection against questionable or unsafe websites. My personal favorite is WOT (Web of Trust), an Internet Explorer/FireFox add-on that offers substantial protection against dangerous websites. The graphic earlier in this article illustrates how WOT’s drop-down warning curtain is activated on visiting a dangerous website such as http://www.defender2009.com. Rated 4/5 stars by CNET. 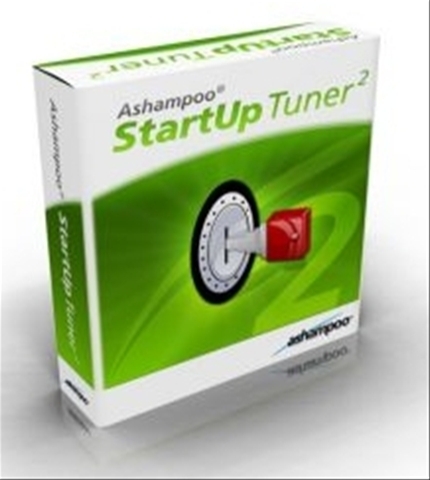 Ashampoo loves to remind you of the value of their full software lineup, so if you find it bothersome to receive this type of email, you’d be better off passing on StartUp Tuner 2. Personally, I find it easier to stay in the loop on new software developments, when I do receive emails soliciting my business for new applications. 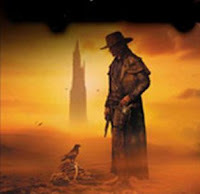 The Internet is increasingly like the Wild West – at least the Wild West we’re use to seeing portrayed in the movies. The strong, fast with a six shooter, secure tough hombres (read – informed), survive; while the weak, the insecure and the unarmed, (read – uninformed), get their butts kicked. Once again we have a situation where this scenario is likely to play out. In the last six months or so, I have focused primarily on Internet security issues on this Blog, with a particular emphasis on the massive number of rogue security applications flooding the web. Since not all security scanners are equal, or 100% effective, I have recommended, in a number of articles, that online scanners are a viable alternative to installed malware scanners as a double check to ensure computer systems are free of malware infections. One of the scanners I have always recommended is, Trend Micro’s HouseCall. Cyber-criminals, not satisfied with exploiting installable malware scanners, are now trying to exploit Trend Micro’s free online scanner HouseCall. The uninformed Internet user is, once again, the primary target of these cyber-criminals. According to Trend Micro, a surfer using a search engine such as Google, with a search string such as, “free online virus scan by Trend Micro”, can end up on a spoofed version of HouseCall by clicking the link returned by Google. Not surprisingly, the spoofed site informs users their computers are infected with malware, and then teases them to purchase a fake anti-virus application in order to remove the fake threat. Regular visitors to this site are aware of the substantial threat posed by rogue security application. For more information on this issue, checkout “ Rogue Security Software on the Rise – What You Need to Know Now!” on this site. Trend Micro advises all users to go to their website home page directly for product information and services, instead of clicking on links to individual pages brought up by search engines. This advice should, in fact, be followed for all searches. If you are a security conscious computer user you are, most likely, generally well armed when it comes to ensuring your system is not open to compromise, or exploitation, by malware in the wild. It is probable you have protected your machine with an appropriate defense system including a firewall (either software or hardware), a sound and effective malware suite (including anti-virus and spyware), and an additional protection layer against zero-day threats with the installation of an application such as ThreatFire developed by PC Tools. You can relax and you can consider yourself relatively safe, or perhaps even invulnerable, right? Well, maybe not. Sure, most of use Microsoft’s Windows Update so that we are current with operating system critical updates, and security fixes. You can determine whether or not you are running the latest WUA by visiting Windows Update. But, and this is a critical “but”, where many of us may still be vulnerable is in the lack of consideration we have given to the vulnerabilities that exist in our currently installed applications. Some recent application vulnerabilities include, Mozilla FireFox, Apple iTunes, QuickTime, Skype internet phone, Adobe Acrobat Reader 7.02, 6.03, Sun Java Run-Time, Macromedia Flash 7, WinZip 8.1, AOL Instant Messenger 5.5, Windows/MSN Messenger, Yahoo Instant Messenger 6.0, Bit Defender, and RealPlayer. So, wouldn’t it be great if there was an application that could do the job of ensuring that all installed applications were either patched or up-to-date? Well, there is; and it’s free. After 17 months of in-depth beta testing, Secunia has just released Version 1.0 of its free Personal Software Inspector (PSI). 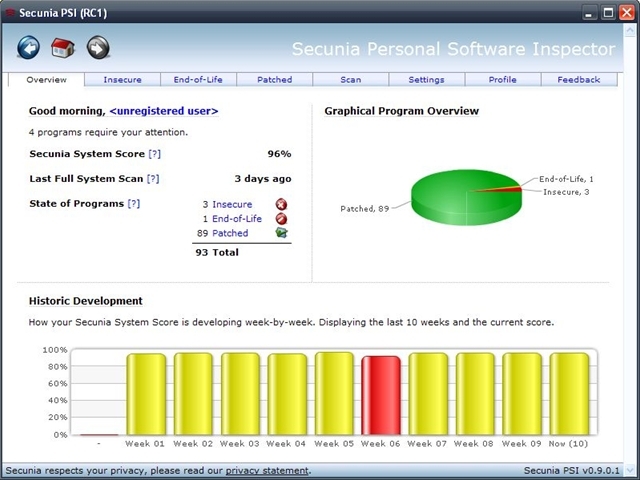 The Secunia Personal Software Inspector (PSI) constantly monitors your system for insecure software installations, notifies you when an insecure application is installed, and even provides you with detailed instructions for updating the application when available. ZD Net, one of my favorite web sites has stated “Secunia Personal Software Inspector, quite possibly the most useful and important free application you can have running on your Windows machine”. As an added bonus for users, Secunia provides a forum “where PSI users can discuss patching, product updates, exploits, the PSI, and anything else security-related”. Arguably, the Hard Drive is the most important element in a personal computer because it holds, in many cases, an accumulation of information that is of real and perhaps irreplaceable value: documents, digital photos, email messages, personal and business related work and important private data. The upside of today’s high density disks is; modern disks allows for greater storage capacities and higher access speeds. The downside is however; with densities and capacities pushed to the extreme there is much more information to lose should the drive fail. So what do you think the chances of a Hard Drive failing are? Surprisingly computer industry statistics seem to indicate that the real-world annualized failure rate (average percentage of disks failing per year), was much higher than the manufacturers’ estimate – an average of 3% vs. the estimated 0.5 – 0.9%. 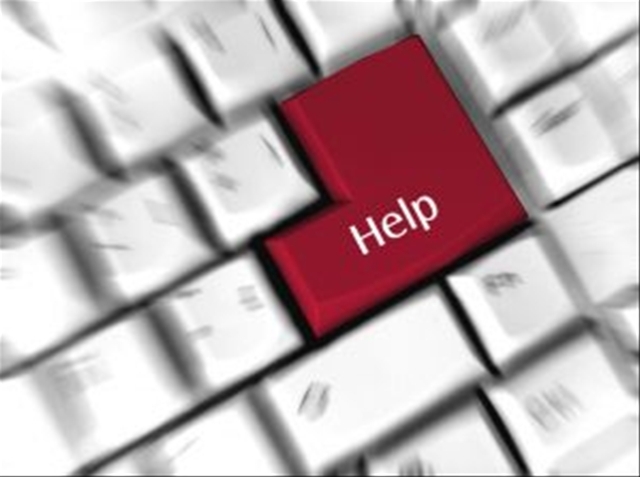 If you should suffer catastrophic Hard Drive failure and you are one of the few, out of the ordinary, computer users who regularly and faithfully backup, you will have a lot of work ahead of you but you will recover. If you do not have a backup plan, it’s time you though seriously about developing one. Fortunately though, today’s Hard Drives rarely fail without a warning of failure given well in advance. All modern Hard Drives are equipped with a feature known as S.M.A.R.T. that provides real-time analysis and the reporting of any developing problems and potential issues. The big question is: can you read the warnings? The following free applications take the guesswork out of the equation, and they make it easier than ever to diagnose what’s really occurring inside the complex environment of the Hard Drive. 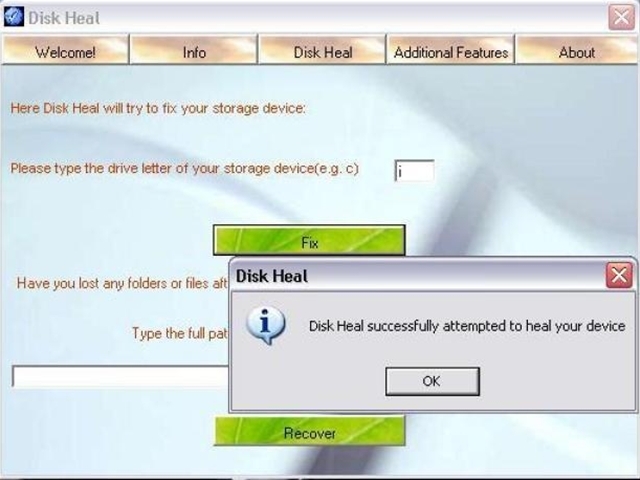 Disk Heal is a free Windows NT, 2000, XP and Vista utility that may be able to restore the condition of your Hard Drive, or a USB Flash Drive. This application is a very useful tool that has a host of additional capabilities, including recovering hidden files and performing system tweaks; all can be accessed with just one click. Emsa Disk Check is a dual-purpose utility, for disk checking (prescan and full disk reading) and also benchmarking. It scans/reads the entire contents of a disk (CD, DVD or Hard Drive; or even a floppy), and it shows any read errors that may occur. In addition, it shows drive speed information, progress statistics and so on. It was designed with simplicity in mind, but ease of use for you. Useful to quickly and fully scan removable disks like CD, DVD for surface defects like disk scratch problems, bad CD-R/RW DVD-R/RW writes, etc. Can check CD-ROM, DVD, hard disks, even floppy disks. Useful for benchmarking a drive: CD, DVD or HDD. Shows ‘locked’ files on disks. Reports progress, statistics (files, folders, time elapsed, estimated time remaining). Reports any errors encountered (error count and log entry for each). 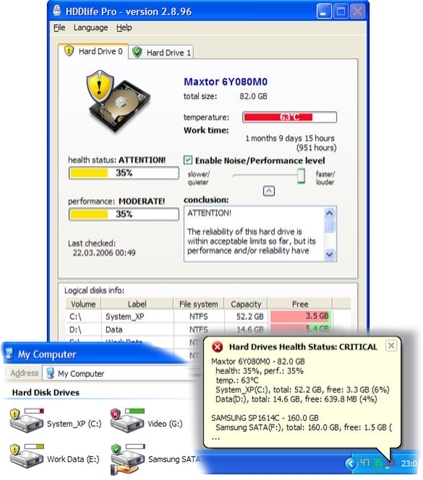 HDDLife is a real-time Hard Drive monitoring utility with alerts, malfunction protection and data loss prevention features. This hard drive inspector is an advanced proactive hard drive failure detection system that manages all of your hard drive risks. HDDLife is S.M.A.R.T. technology based. This is not a free application but it’s 14 day trial period should provide the time needed to diagnose Hard Drive issues. Current version supports IDE, Serial ATA and SCSI disks with standard controllers, while external IDE RAID and SCSI RAID controllers are not supported. Don’t forget, that Hard Drive diagnostic software is offered free from all the major Hard Drive manufacturers. Check out their sites. Please note that since Seagate purchased Maxtor, the download sites are identical. Fragmentation is caused by creating and deleting files and folders, installing new software, and downloading files from the Internet. When you delete files or folders, the first available empty spaces on the Hard Drive are filled in randomly when you create new files and folders, as you do when you save pics from your camera, install software, save emails, or create documents. 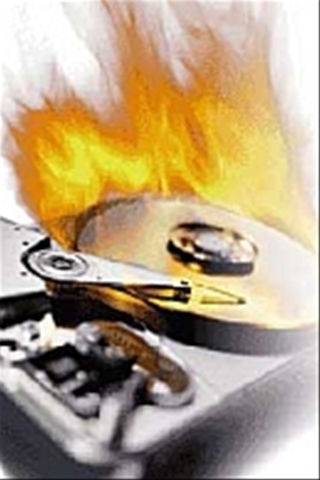 Hard Disk fragmentation makes the disk drive heads move more than necessary when reading files which can degrade performance over time, and can lead to system slowdowns, computer crashes, slow startups and shutdowns. The program is extremely easy to use, does not require any analysis phase and is faster than most disk defragmentation software I’ve tested in the past, and it’s free. In my view, it’s one more maintenance process in helping me get the maximum performance out of my hardware. 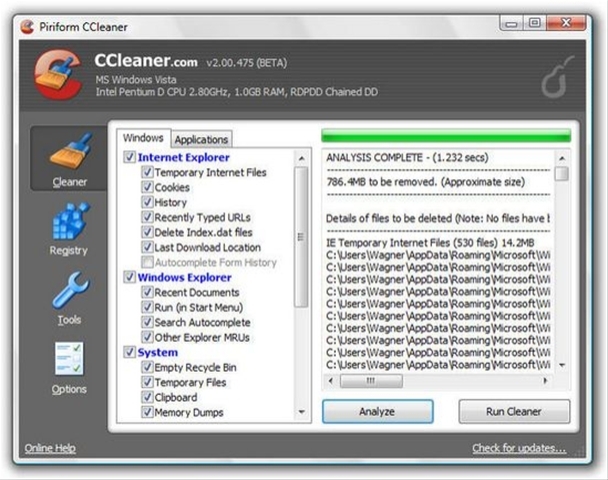 Running a Hard Disk cleaner such as CCleaner can optimize systems by emptying the Recycle Bin, Temporary Setup Files, Downloaded Program Files, Temporary Internet Files, Old Chkdsk Files, Temporary Files, Temporary Offline Files, Offline Files, and more. There seems to be no end to the release of new Rogue Security threats. Cyber crooks are continuing to develop and distribute “rogue security software”, at a furious pace. There are literally thousands of variants of this type of malware circulating on the Internet, and it has now reached virtual epidemic proportions. Statistics indicate that up to 50 million Internet users have been infected by this wave of fake antivirus programs. One more time we are forced to deal with a new variant of an older rogue application; Ultra Antivirus 2009, a clone of Micro Antivirus 2009, is now circulating on the Internet seeking out unaware users in order to steal their money. 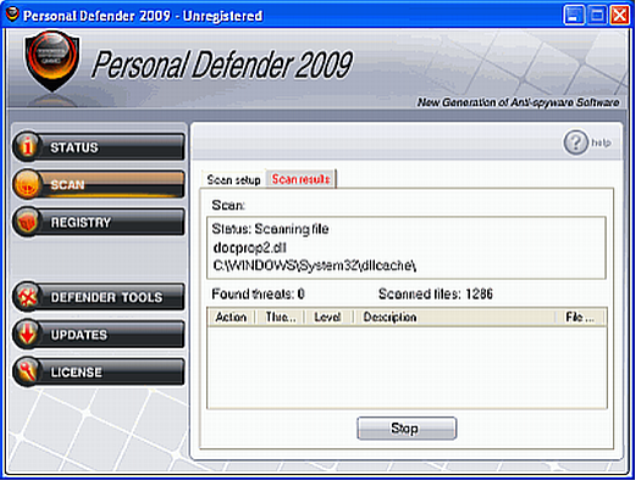 The objective of Ultra Antivirus 2009, which is the objective of all Rogue Security Software, is to convince the victim to pay for the “full” version of the application in order to remove what are, in fact, false positives that this program is designed to display on the infected computer in various ways, including fake scan results, pop-ups and system tray notifications. Rogue software impacts people dramatically, read “How Fake/Rogue Software Affects Real People”, on this site. Like many parasitic applications, this particular rogue security software’s installer is often found on adult websites, or it can be installed manually from rogue security software websites. Rogue security software can write itself into multiple parts of the operating system, and in many cases it can hide its files, registry entries, running process and services, making the infection virtually impossible to find and remove. As well, the installation of such malware can lead to a critically disabled PC, or in the worst case scenario, allows hackers access to important personal and financial information. If you are a victim of Ultra Antivirus 2009, the following removal solutions will be invaluable. Bleeping Computer is a web site where help is available for many computer related problems, including the removal of this rogue software. SmitFraudFix, available for download at Geekstogo is a free tool that is continuously updated to assist victims of rogue security applications. Malwarebytes, a reliable anti-malware company has created a free application to help keep you safe and secure. RogueRemover will safely remove a number of rogue security applications. As well, you can download Malwarebytes Anti-Malware application, a superior anti-malware program. Rogue Fix at Internet Inspiration.